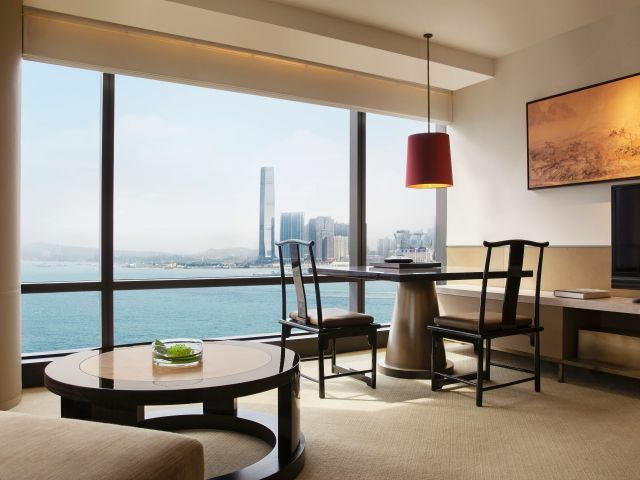 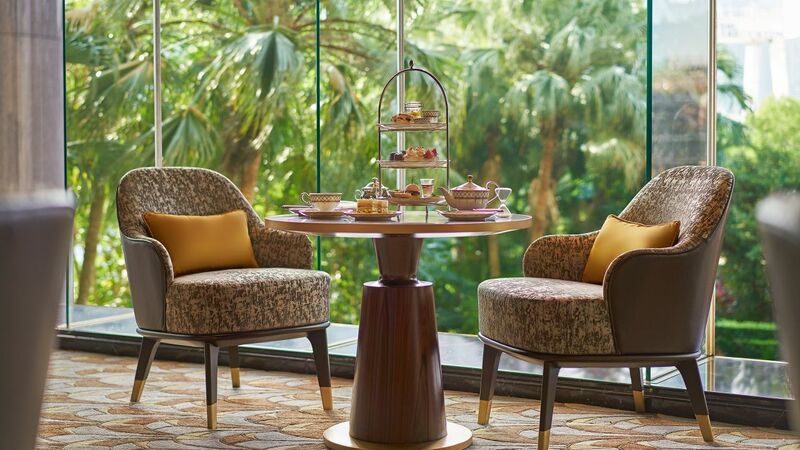 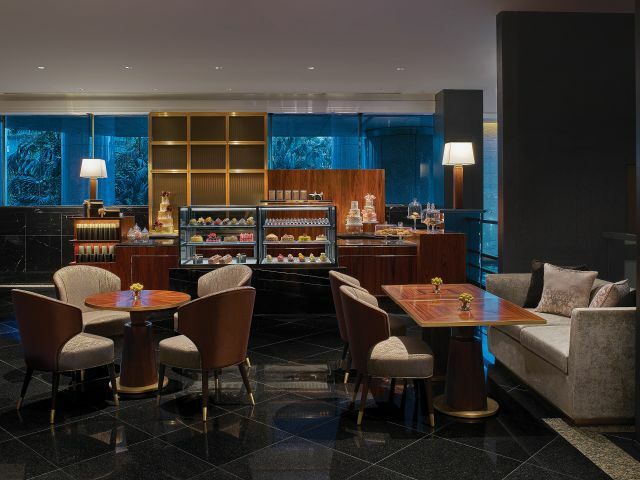 Situated on Hong Kong Island facing the world-famous Victoria Harbour, Grand Hyatt Hong Kong redefines hotel luxury and offers facilities and amenities to meet your every need. 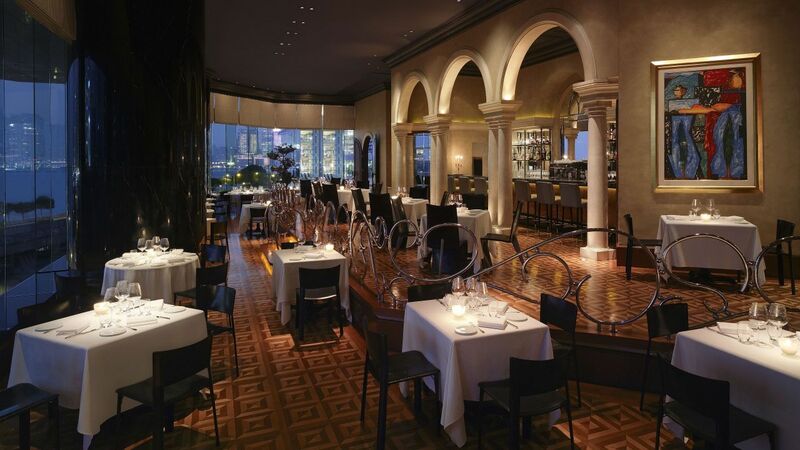 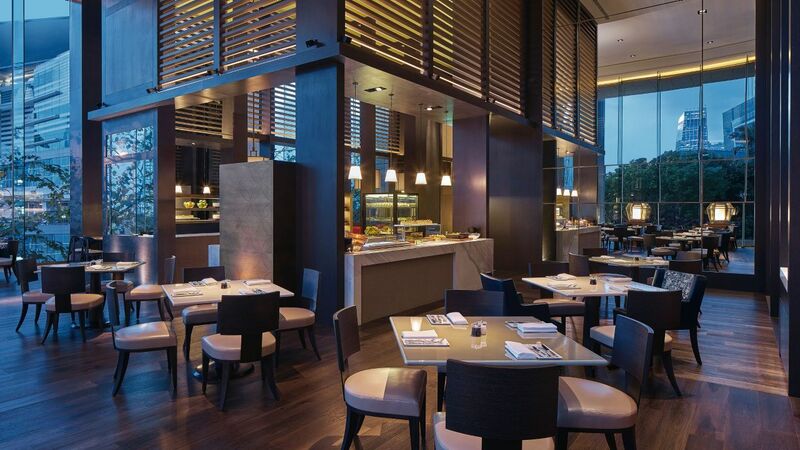 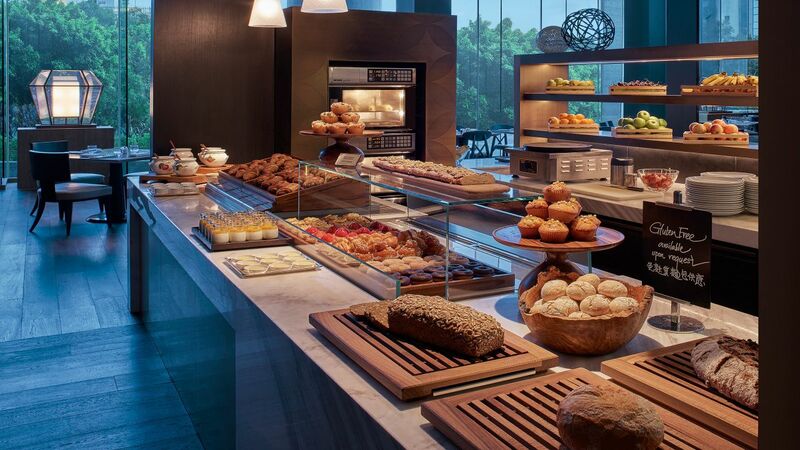 Grand Café is a kitchen-focused dining hub that offers a five-dimensional sensory experience like no other. 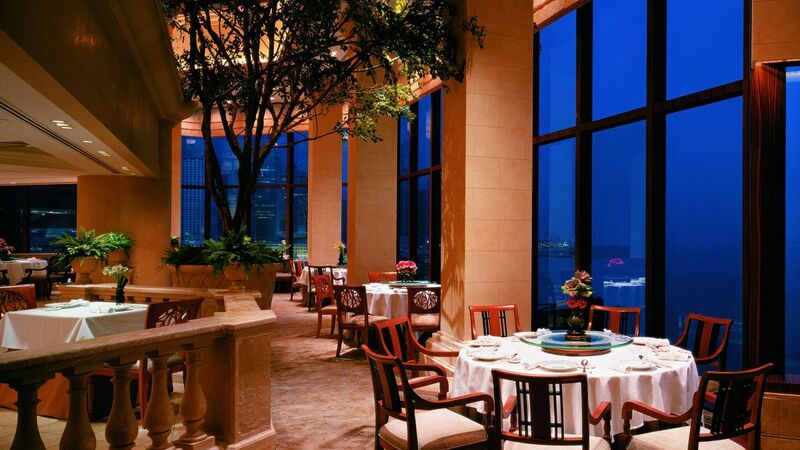 Offers guests all day dining experiences with internationally authentic all-time-favourites. 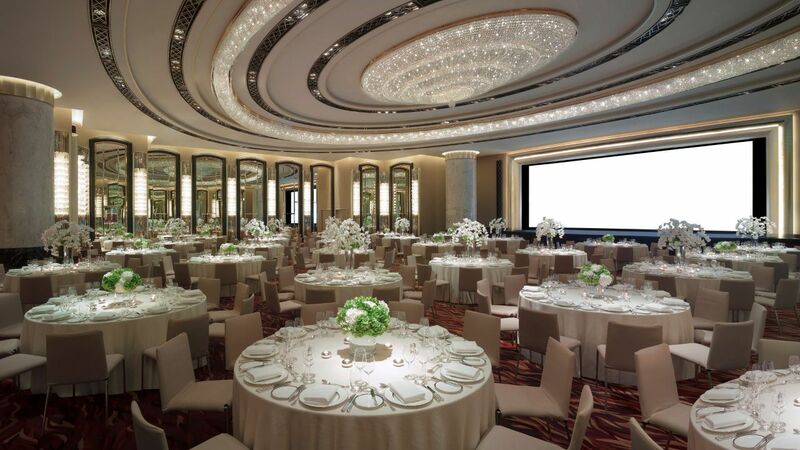 Celebrate a glamourous and memorable wedding in one of the city’s premier event venues. Features 542 diverse and unique guestrooms and suites. 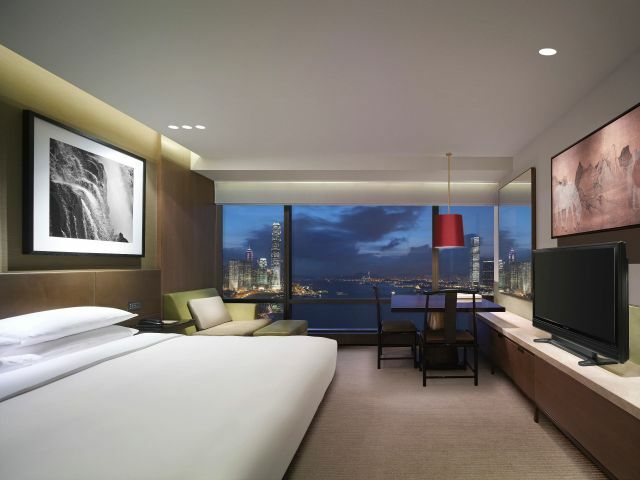 Majority of the guestrooms command views of Victoria Harbour. 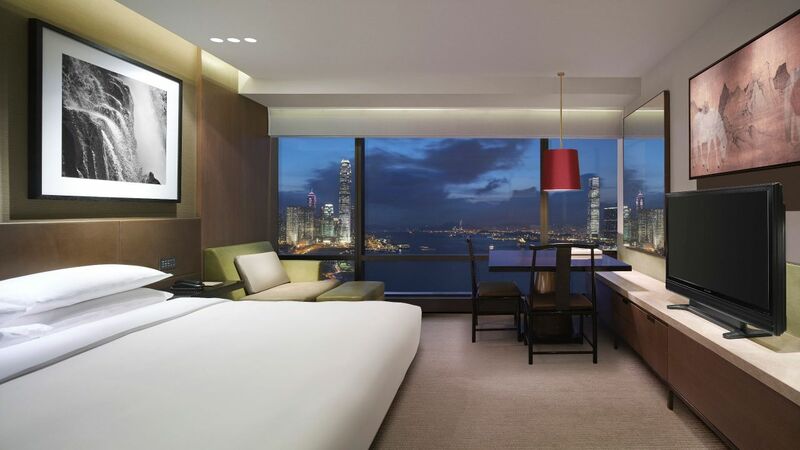 All luxurious accommodation combine the subtle ambience of a contemporary residence, enriched seamlessly by the latest business and entertainment technology. 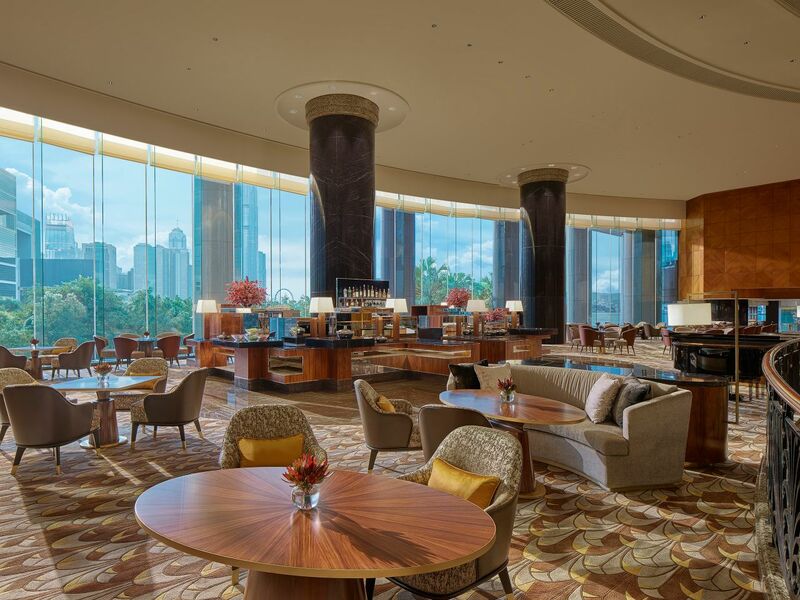 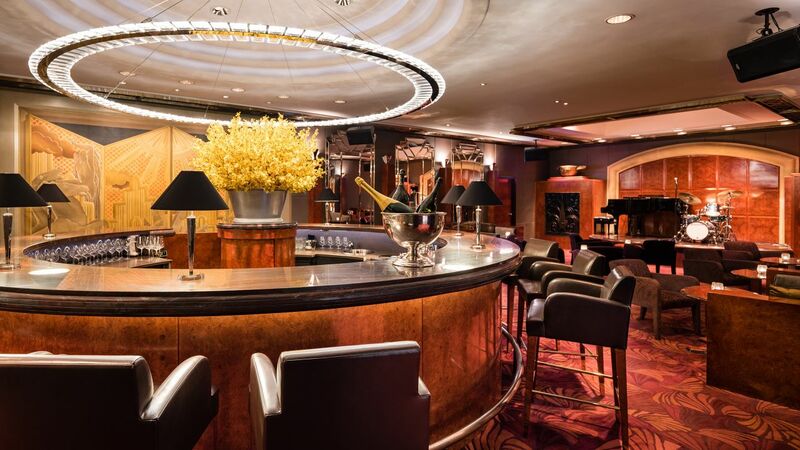 Grand Club provides the luxurious lounge exclusively for suite and club floor guests. 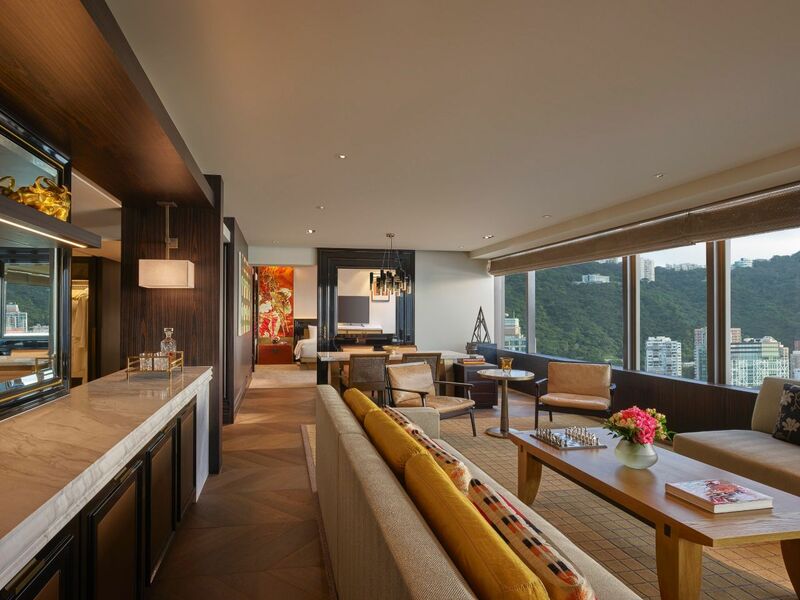 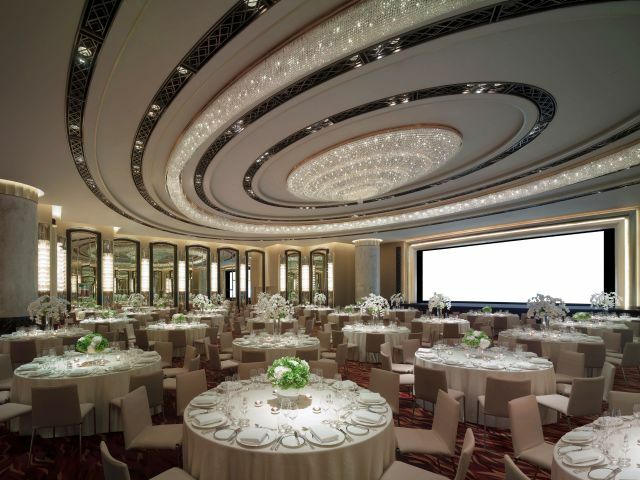 It is a perfect location to unwind the busy day with a sumptuous menu throughout the day, from an extensive breakfast buffet, light refreshments, all-day champagne to evening cocktails, all under the dramatic panorama of Victoria Harbor through floor-to-ceiling windows. 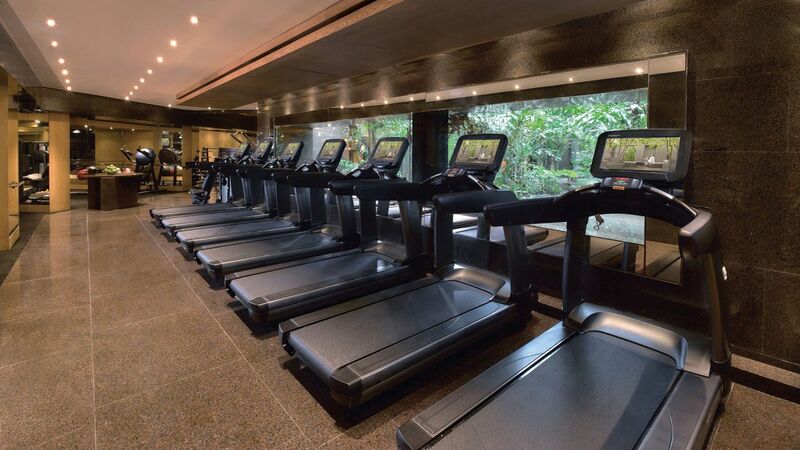 Fitness Centre has an extensive range of ‘Life Fitness’ exercise equipment and classes, and offers complimentary active wear rental services for guests. 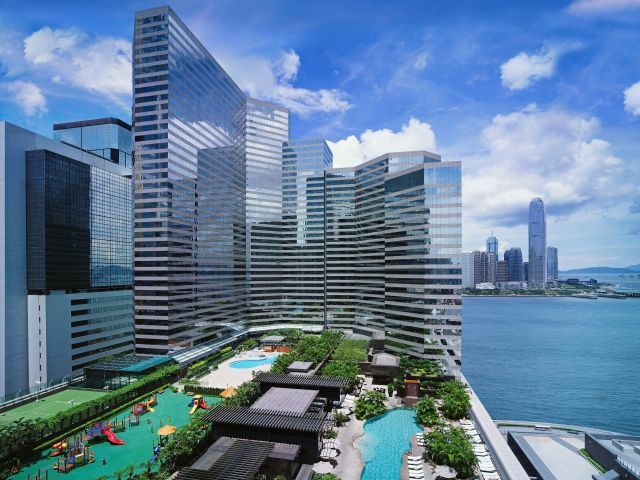 It has been designed to create a multitude of functional training spaces for free weights, strength training, abdominal training and stretching. 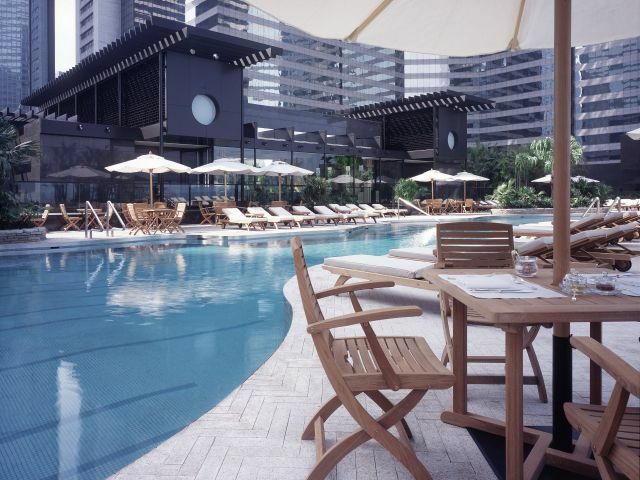 Located on the 11th floor of the hotel, the 50-metre heated swimming pool commands spectacular view of the Central skyline. 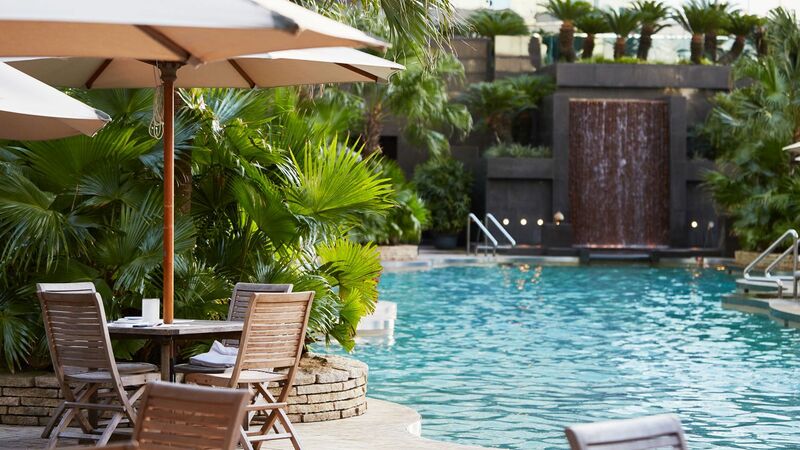 Guests can relax on the poolside sun loungers while enjoying refreshments. 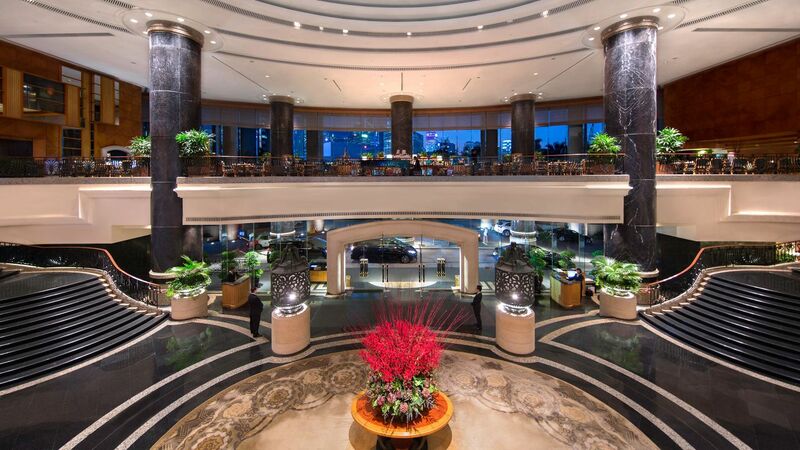 Prices: Complimentary for hotel registered guests and fitness centre members. 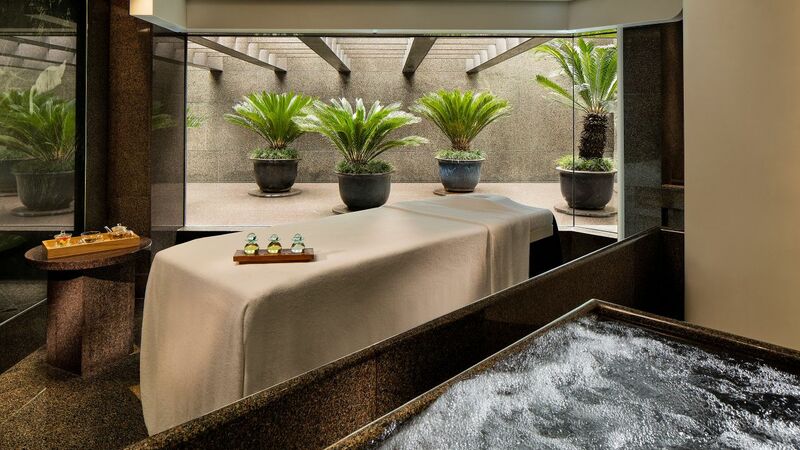 Located on the 11th floor of the Grand Hyatt, the Plateau Spa is a self-contained resort within a hotel, offering privacy, seclusion and an escape from the vibrant city of Hong Kong. 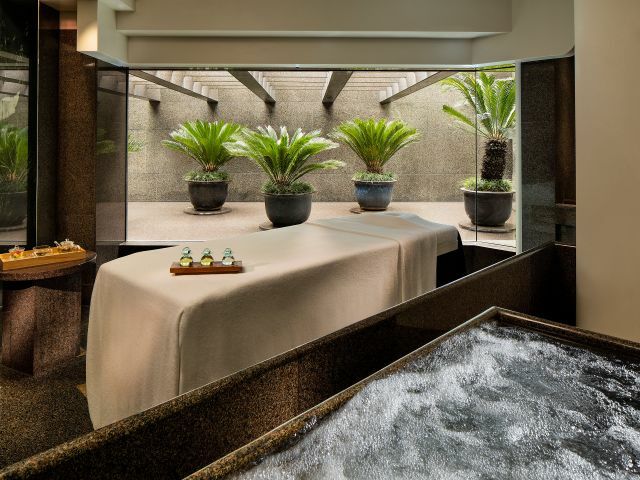 Celebrate the wellbeing of yourself and loved ones with award winning, result oriented treatments conducted in private treatment rooms with en suite bathrooms. 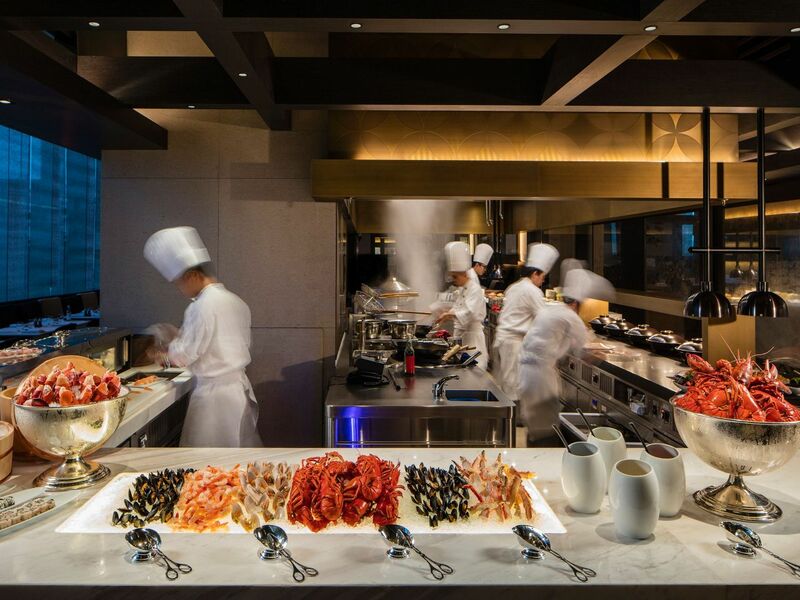 Enjoy authentic cuisine with market-fresh ingredients at one of the hotels nine internationally acclaimed restaurants and bars, with the hotel’s signature heart-warming service. 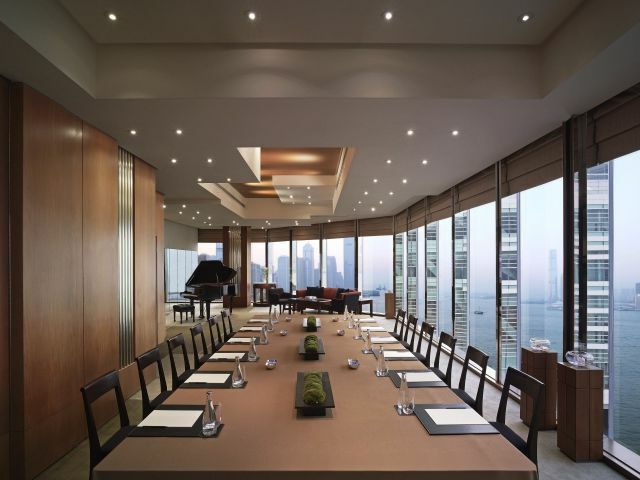 I know that my comments about the Grand Hyatt Hongkong become a little bit boring but what can I do! 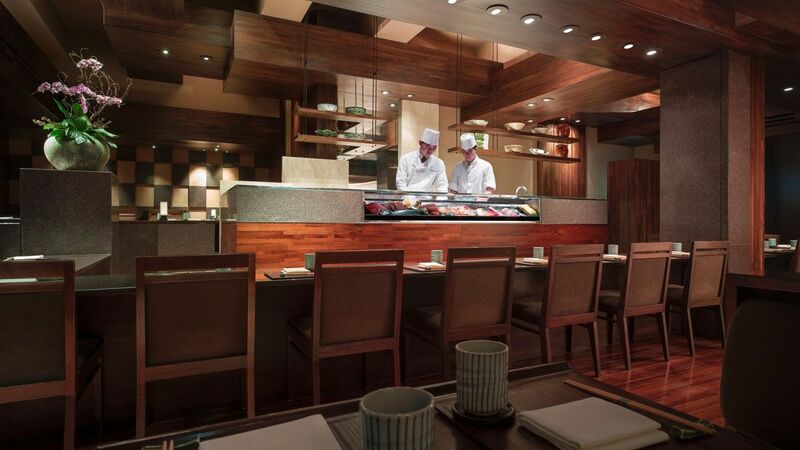 Another perfect experience. 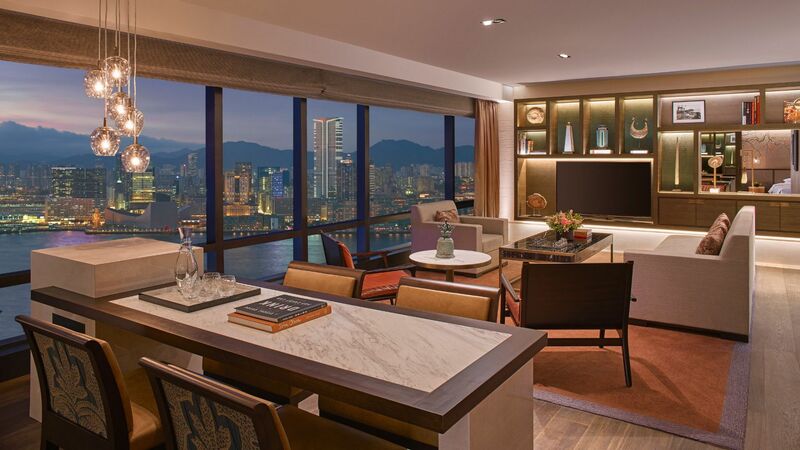 I‘m guest in the Grand Hyatt Hongkong since it opened in 1989 and never had any reason to complain! 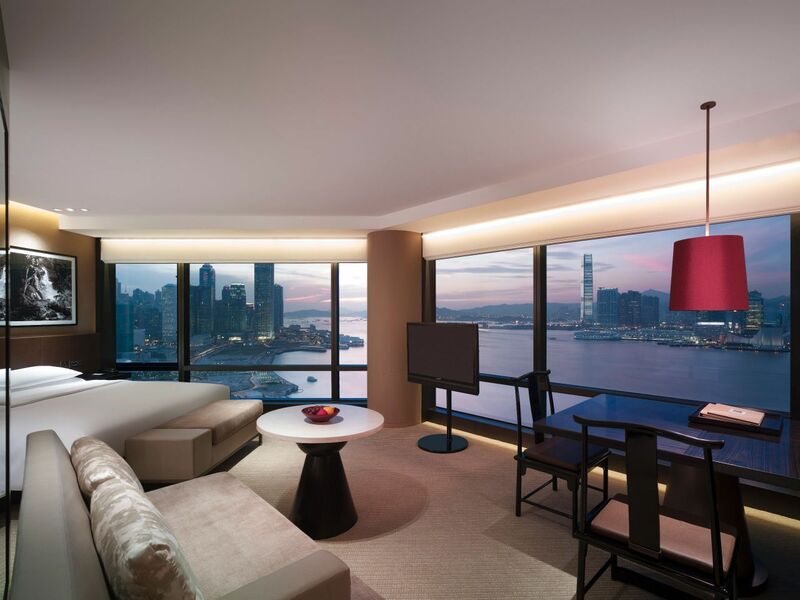 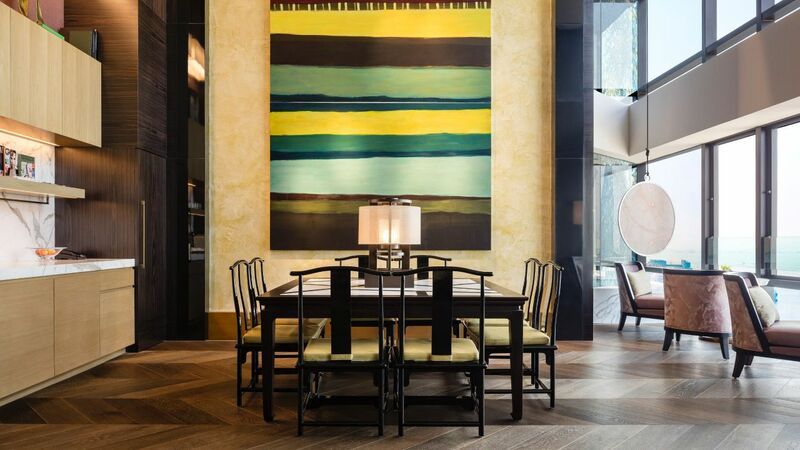 If you want a memorable stay in Hongkong, choose the Grand Hyatt! 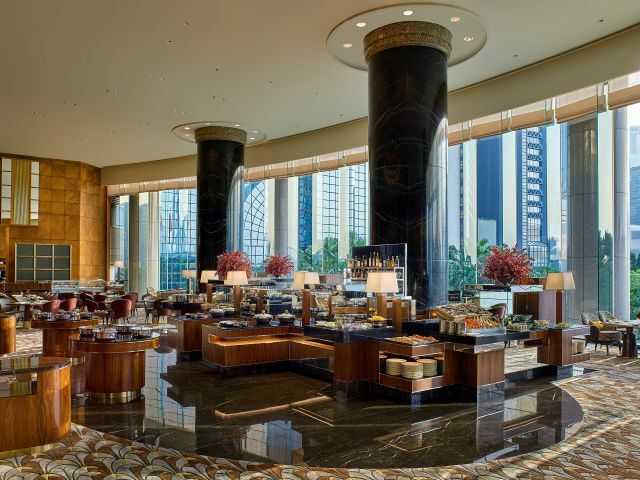 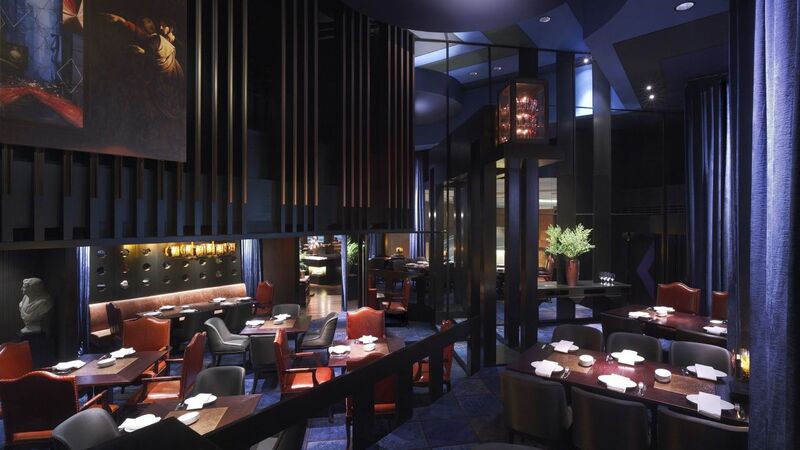 What else is happening at Grand Hyatt Hong Kong?